Turbonetics Super T-Series is for the highest performing street or race cars and those needing that extra efficiency edge. Ideal for high boost pressures 25+ psi and from 700-1000HP, these Turbochargers provide the most power possible in the T4 family. Available standard with Turbonetics signature ASME Bell inlet, this line of turbochargers combines the highest efficiency compressor wheels and housings specifically designed for your application. These units also feature their F1 68mm, a 10-bladed, high flow Inconel turbine wheel. Fits traditional T4 flanges. 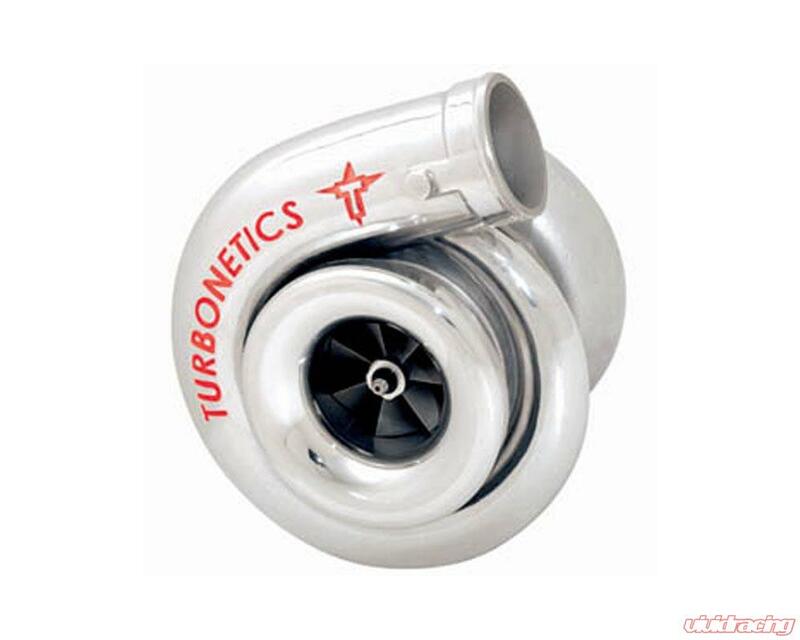 Heat is a turbochargers enemy, too much is the biggest strain on a turbo and can often cause them to fail, especially larger turbos such as the Super T series. Thats why Turbonetics Super T series feature ceramic ball bearings. Ceramic ball bearings are more resistant to heat meaning a more reliable, better performing, longer lasting turbocharger.